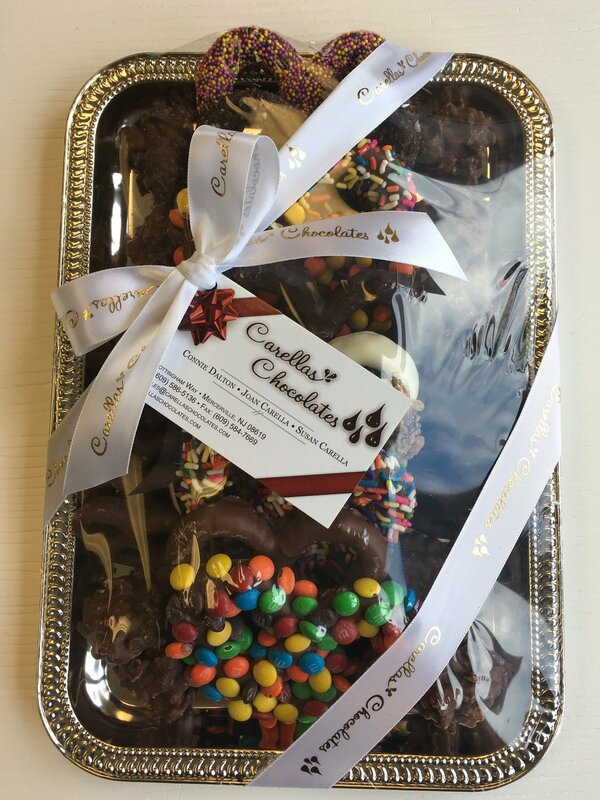 Carella's Chocolates create many different sizes and variations of Chocolate Trays. The larger size trays are for customer pick up or delivery only. They are not listed on our online site. Please call us for large rays to serve 25 people or more. Trays can be Pretzels only or a mixture of Chocolates and Pretzels or Chocolates only.